An album of extensively researched divine sounds of spirituality comprising of twelve unique collection of stutis and chants which surely is a must buy for any serious collector of Indian classical and devotional music. 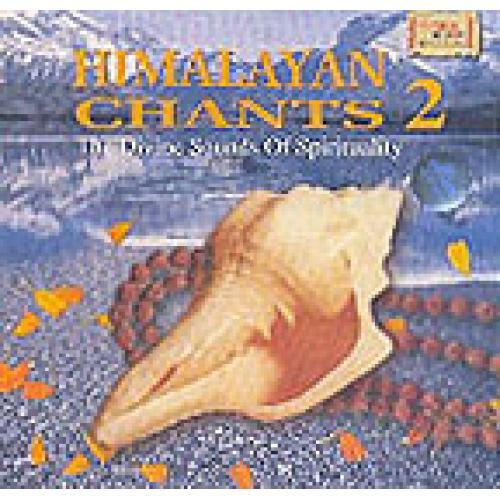 An extremely superlative spiritual album that encompasses the best-known Vedic Chants popularly termed as Himalayan Chants, this is the second presentation of the earlier released Himalayan Chants (Part 1) that attained the tag of bestseller within the shortest possible time. This album too has some of the most amazing range of Chants that have been amassed together thus making this album an eternal masterpiece. It presents a perfect blend of authentic mantras of Hinduism with excellent devotional music and the result is awe-inspiring. One gets lifted in to the airy elevations of a heady connotation while listening to the sounds of the traditional Hindu chants like the Ganpati Avahanam, Krishna Avahanam, Shri Ram Avahanam, Devi Avahanam amongst other Chants from Vedas or listening to Chants like Paropkar/Kshamapana, Shri Krishna Dwadashnaam Stotram, Mangalgeetam and others in the classical voices of Ashit Desai, Sanjeev Abhyankar, Hema Desai and others gives a feeling of perpetual ecstasy united with the pure fragrance of devotion. This is indeed an exhilarating compilation of the finest Hindu Chants immersed in the rich realm of Indian classical Ragas in one such music album.